In order to fulfill the diverse needs of our clients, we are manufacturing a qualitative array of Vacuum Cleaner. 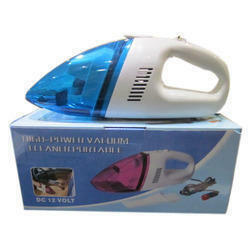 Power : 1200 Watt.Washable Dust Bag.Easy to Operate.Two Suction Fixtures.High Capacity.Universal Flexible Hose.Ultra Light Weight.5 m Power Cord. 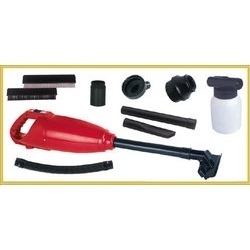 Our respected clients can avail a quality approved the range of Portable Vacuum Cleaner. We are highly acknowledged organization engaged in presenting remarkable range of Portable Vacuum Cleaner.